Cameron Peace, Dorrie Main, Amit Dhingra and others are working to apply basic genetic science to accelerate the development of Washington-specific tree fruit varieties. Building on the Genome Database for Rosaceae (GDR), tree fruit Genome Database Resources (tfGDR) will provide fundamental bioinformatics and database capabilities for Rosaceae and Citrus. It will be designed specifically to meet the needs of basic, translational and applied researchers, and industry stakeholders, facilitate the discovery of genes underlying important agricultural traits, develop markers for genomics-assisted-breeding, and enhance critical decision-making by apple, cherry, peach, strawberry and citrus breeders and growers. Funded initially by the 2009 USDA NIFA Specialty Crops Research Initiative, the RosBREED created a national, dynamic, sustained effort in research, infrastructure establishment, training, and extension for applying marker-assisted breeding (MAB) to deliver improved plant materials more efficiently and rapidly. RosBREED 2 was funded to build on the foundation established in the preceding RosBREED project, adding many new scientists and targeting diseases that industry stakeholders across the country have identified as key challenges. tfGDR is a new educational outreach website that accesses several databases that house genomic, genetic and breeding resources for 22 major horticultural crops. It includes videos and articles that highlight the role genomics, breeding and these databases in particular are playing in solving industry problems in fruit production. “Another purpose of this website is to provide basic information to scientists regarding the information and tools available at these databases and how to use them,” said Julia Piaskowski, postdoctoral researcher with Dorrie Main at Washington State University. The website also describes an upcoming project the Main lab is developing: the Growers Toolbox, an online decision-making tool for growers. This resource will provide information linked to relevant weather, soil and environmental conditions to help growers decide what fruit varieties are most suitable to their growing conditions for new plantings of citrus and Rosaceae fruits. The genome databases are the result of collaboration between WSU (Dorrie Main, Cameron Peace, Kate Evans, Nnadozie Oraguzie, Desmond Layne), Clemson University (Bert Abbott), Florida (Fred Gmitter, Mercy Olmstead, James Olmstead), the Boyce Thompson Institute for Plant Research (Lukas Mueller) and North Carolina State University (Allan Brown). The extensive resources available – including whole genome sequences, expression data, metabolic pathways, large scale breeding data and tools for exploring and using that information – are designed to meet the needs of basic, translational and applied researchers. The work was funded by the U.S. Department of Agriculture Specialty Crop Research Initiative from 2009 to 2014, the Washington Tree Fruit Research Commission, the Citrus Research and Development Foundation and the participating universities and institutes. An excellent video explaining the tfGDR project and how it is helping the WSU tree fruit breeding program can be viewed here. The RosBREED project was initiated to generate and apply DNA-based information to speed the development and commercialization of scion cultivars for Rosaceae crops. It includes more than 60 participants and is led by Amy Iezzoni, Michigan State University (MSU) and Cameron Peace, Washington State University (WSU). Initial focus crops are apples, cherries, peaches, and strawberries, but it has implications for almonds, caneberries, pears, roses, and beyond. RosBREED first received around $7 million in federal funding (USDA-SCRI) over fours years, matched by another $7 million from non-federal sources. This leveraging of funds is a welcome feature to industry stakeholders and a validation that RosBREED goals align with their priorities. Learn more about the RosBREED project at their website. At the end of this funding cycle a new award of $10 million over a 5 year period was granted by the same agency. The aim of RosBREED 2 is to build on the foundation established in the preceding RosBREED project, adding many new scientists and targeting diseases that industry stakeholders across the country have identified as key challenges. The article RosBREED 2 Program Focuses On Disease Resistance And Quality by Richard Jones gives a great overview of the new project. It takes years to develop new apple varieties. Traditionally, the breeder waits years for a seedling to grow and start producing fruit before selections can be made. But with new DNA technology, genetic markers can be used to screen seedlings for quality traits such as tartness, crispness and juiciness as well as for disease resistance. Thousands of seedlings can be screened at a very early stage and selections possessing the desirable traits can be used for more advanced testing while eliminating those without the traits. This saves time, effort and the cost for maintaining undesirable plantings. 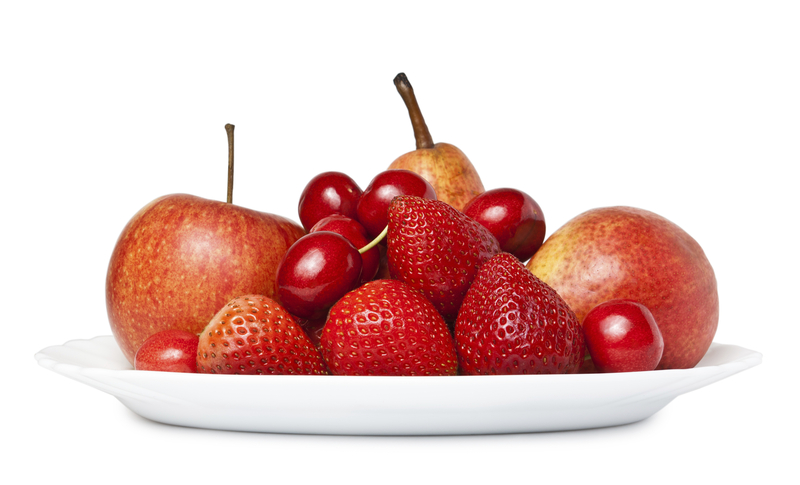 Ultimately, genomics studies will provide researchers with a better understanding of the Rosaceae family and will be used to address challenges that fruit-tree growers and producers face from pests, drought, a plant’s stress response and lack of nutrients. The new information sheds light on biochemical regulation pathways for disease resistance, ways of protecting the food supply from environmental conditions and, of course, understanding the fruit ripening process. 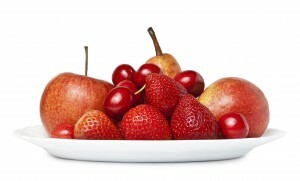 The genomes will help scientists understand how the fruits’ functions have evolved – for example, why the peach and raspberry appear so different from each other when both are in the Rosaceae family. The state of Washington accounts for approximately 60 percent of apple production in the U.S. 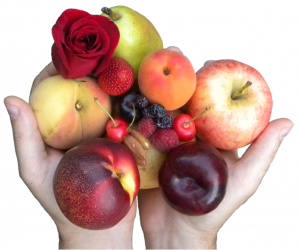 Meanwhile, Rosaceae fruit production – which also includes crops like peaches, raspberries and roses – is a multibillion dollar state industry. Draft assemblies of the four genomes are being made available to the research community prior to publication via the WSU Genome Portal. The data may be downloaded and used by those who agree to the terms of release. Learn more about the genomics lab and research at WSU at the Department of Horticulture Genomics Lab page. The STEM in your Apple, S. Kantor, WSU reCONNECT, January 2015. 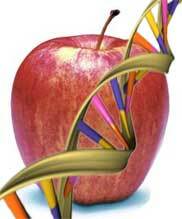 WSU Apple Genome Project, Genomics Lab webpage. WSU Pear Genomics Research, Genomics Lab webpage. 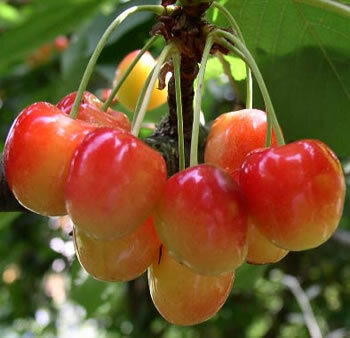 WSU Sweet Cherry Genome Project, Genomics Lab webpage. UC ANR Pear Genomics Research, University of California Ag. and Nat. Resources webpage. (Accessed: 1/19/17).